Japanese encephalitis is unpredictable and potentially devastating. Consider vaccination. Before you travel, talk to your healthcare professional. IXIARO® is a vaccine to help prevent Japanese Encephalitis (JE). IXIARO® is indicated for active immunization against Japanese Encephalitis for persons 18 years of age and older. As with any other vaccine, vaccination with IXIARO® may not result in protection in all cases. IXIARO® will not protect against encephalitis caused by other micro-organisms. Allergic reaction may occur. Common side effects include nausea, influenza-like illness, fever, tiredness and injection site reactions. Visit valneva.ca to view the Consumer Information leaflet for IXIARO®. One bite is all it takes. What is Japanese encephalitis (JE)? Japanese Encephalitis is a serious disease found commonly throughout Asia. It is caused by the ‘JE virus’, and is transmitted by infected mosquitoes. The majority of infections are ‘asymptomatic’ (show no symptoms); clinical disease develops in 1 in every 50-1,000 people infected. Over 50,000 clinical cases are reported worldwide each year. Patients developing overt illness usually experience flu-like symptoms such as high fever, nausea and vomiting, which may progress to seizures or coma. 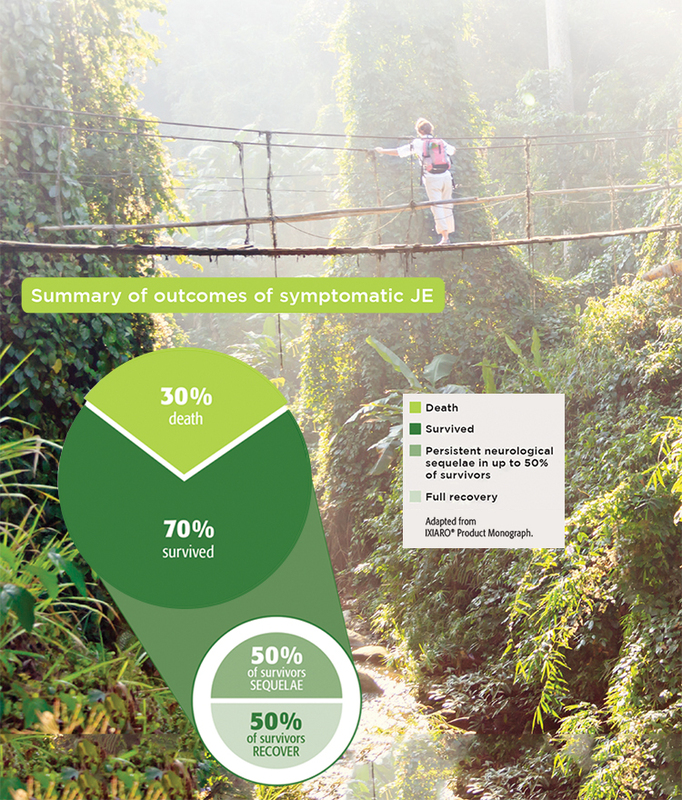 While some patients experience a full recovery, JE can be fatal in as many as 4 in 10 patients. 30-50% of patients are left with permanent, long-term disabilities (e.g., paralysis, inability to talk). If you are travelling to Asia on vacation or business, you may be at risk. While virus-carrying mosquitoes are usually found in more rural areas, the virus can also be contracted in or near cities. Risk of infection can be seasonal, or occur throughout most of the year. 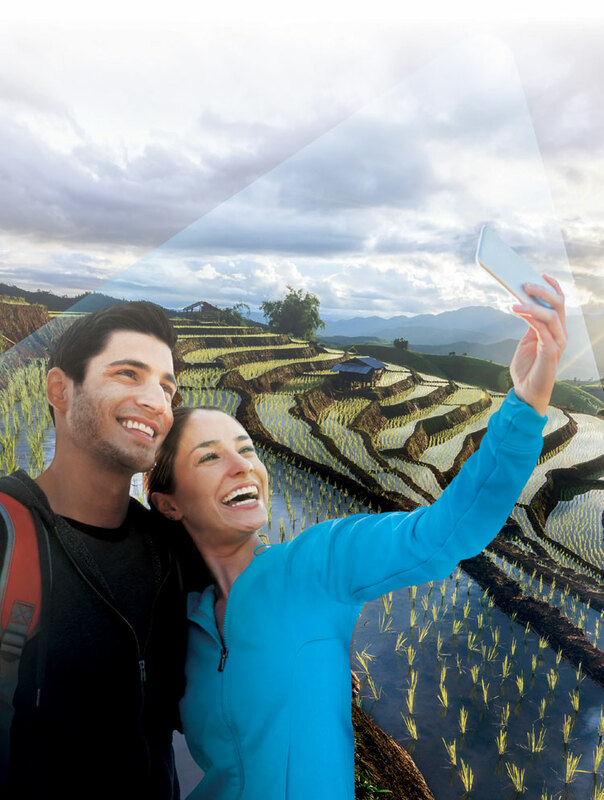 The risk to most short-term travellers to Asia is very low; however, in areas where JE is very common, the risk to unvaccinated travellers during the transmission season may be as high as 1 in 5,000 per month of exposure. the disease. A proven method of protection is vaccination. Vaccination can help protect against JE. JE is one of the most common causes of viral encephalitis in Asia and may be underreported due to inadequate surveillance systems in many Asian countries where the virus is endemic. Current reports of the number of JE cases may not reflect your actual risk because of gaps in reporting of cases. IXIARO® is a vaccine against the JE virus, used in people 18 years and older who live in or travel to areas where JE is common or seasonal. It is administered as two injections: the first on a selected date; the second, 28 days later. In clinical studies, IXIARO® was shown to offer protection against the JE virus in as little as seven days after the second injection. The full duration of protection is unknown. Your travel health specialist will advise of the need for a booster dose. Side effects are usually mild and disappear within a few days. Talk to your travel health specialist to see if IXIARO® is right for you. You may be covered for the IXIARO® vaccine with your private insurance. Contact your insurance provider and give the DIN (drug identification number) below to find out. * Recommendations from the Public Health Agency of Canada. IXIARO® is not used to treat the disease or its complications once they develop. IXIARO® is not recommended for use in persons below 18 years of age. Individuals with the following conditions should discuss vaccination with their physician: pregnant or breastfeeding women; persons with a bleeding disorder, or abnormal bruising; persons with fever (temp. >37.8ºC); immunosuppressed persons or individuals on cancer treatment. As with all injectable vaccines, appropriate medical treatment and supervision should always be available to treat rare cases of anaphylactic reactions following the administration of the vaccine. IXIARO® must never be injected into a vein or any blood vessel. Like other intramuscular injections, this vaccine should not be administered intramuscularly to persons with thrombocytopenia, hemophilia or other bleeding disorders. If your immune system does not work properly (immunodeficiency) or you are taking medicines affecting your immune system (such as a medicine called cortisone or cancer medicine), protection may not be as expected. Uncommon side effects include vomiting, skin rash, changes in lymph nodes, migraine and dizziness. Visit valneva.ca to view the Consumer Information leaflet for IXIARO®. Copyright © 2019 VALNEVA Canada Inc.
All trademarks used under license.